Want to be placed with a friend? Will there be internet in the home? Wondering how the visa process works, or what to pack? All your questions, answered! For long-term programs it's best to apply at least four months before you'd like to start, since the visa process can take awhile. Lots of host families seek au pairs who can start at the beginning of their school year in late August or September, but we're happy to work on getting you matched at any time. For short-term programs, applying 3 months in advance is typically enough. Do I need to submit my translations of documents with my application? No. After you are placed with a host family we may ask for translations of a few things if needed for the visa process. Please note: you will only need to translate the one page of your transcript that indicates you've taken a French course. Short-term au pairs do not need to translate documents. In the unlikely event that we are unable to place you, we will refund your program fee. We will keep you posted throughout the placement process. Yes. Please write in your location preferences anywhere on your Program Specific Application. We'll do our best, but location requests cannot be guaranteed. Actual placement location will depend on the families looking for au pairs at the time. Many host families seek an au pair who can drive. If you can't drive, it may take a few weeks longer to find you a family match. Our international cooperator screens all of our host families for safety very similarly to how we screen our au pairs. Just as our applicants here in the U.S. must, all families submit applications and references, have an interview and pay a program fee. We have many warm and caring French families looking for au pairs. Most are middle class families and many have two or three children who are excited to meet you! How many hours of childcare will I provide each week? You'll provide up to 25 hours of childcare per week. When you connect with a potential host family, you'll have a chance to talk about the weekly schedule and expectations upfront. Usually. If you've made any special requests to be placed close to a friend, would like to be in a particular region, or have any host family/children preferences, we will take them into consideration but cannot guarantee we will be able to honor all requests. We do not allow multiple placements in one host family home. Is there Internet access in every household? The majority of our families have access to the Internet in their homes. Being an au pair invovles a unique working and living relationship with a host family, over an extended length of time. It's possible that at some point you may experience some form of miscommunication, or even a disagreement. Typically, with pro-active communication and sensitivity, it's not difficult to resolve these things together with your hosts. However, it's never a bad idea to contact our partner agency in France for extra help - they are professionals and love hearing from au pairs, no matter the reason! If things really are not working out, they will work with you regarding the possibility of a rematch with a new family, subject to availability. Please note that visas are not required for stays under 90 days, so short-term au pairs will not need to apply for visas. Long-term au pairs must obtain a visa after they have a host family match. We will provide information about this process. Your passport must be valid for at least 6 months beyond the end of your stay. Once placed with a host family, you will need to obtain a Jeune Au Pair Visa before entering France. It is important that you do not leave the U.S. before obtaining this visa! The fee for the visa is currently €99. You must apply for your visa before your depart the U.S. You'll be required to make at least one physical appearance at your designated French consulate. We'll provide information on when to schedule your visa appointment and what to bring after you have been placed with a host family. Am I required to take French language classes? We highly recommend you take a French language class during your program. It's important to learn as much of the language as you can, and classes are usually a good way to meet other people. As of March 2019, the French au pair regulations will change so that au pairs will not be required to take classes during their program. You will receive an InterExchange Child Care Guide, Activities Guide, and Home Orientation Guide before departing the U.S. Upon arrival into France, our international cooperator will provide a ‘Welcome Pack' with France-specific resources on how to approach au pairing and how to adjust to your new environment. You will always have at least one day (if not the whole weekend) off for free time. For au pairs who will be in the country for longer than 6 months, you'll be entitled to one week of paid vacation, and au pairs who will be in the country longer than 10 months are entitled to 2 weeks. Because of the short nature of the program, you will not have a set period of vacation. You will, however, always have at least one day (if not the whole weekend) off for free time. Before you schedule your vacations, make sure to discuss directly with your host family if it's ok for you to take that time off. You technically can take your vacation all at once, but most au pairs space their vacation time out to accommodate the schedule their host family requires. If your host family is ok with you taking the full 1 or 2 weeks at once, then by all means, go for it! The most important thing is to discuss your plans with them directly. Do I need an international driver's permit? Many families pay cash, although if there is another way you'd prefer to receive your pay, please simply let your host family know. If you open up a bank account (which is usually free, you just need to provide some proof of identity like your passport), your host family may be able to deposit your stipend directly into your account. If you'd like to change your money into U.S. dollars, you should be able to change your money at any large bank. You will receive a program confirmation document listing your stipend, duration of program, and program stipulations. You could simply use your existing phone with an local SIM card purchased in France (check with your U.S. carrier to make sure your phone allows this), or purchase a relatively inexpensive phone just for your time in France. In either case, you'll probably want to set up a local phone plan. If you're planning to contact people back at home, you could also use your existing device with wifi for services like Whatsapp, Facebook Messenger, etc. You can find more information here. Although it is not legally necessary, it is generally more cost efficient to book a roundtrip rather than two one-way tickets. However, if you'd simply like to purchase a one-way ticket going into France and then purchase your return ticket at a later date, this is totally acceptable as well. 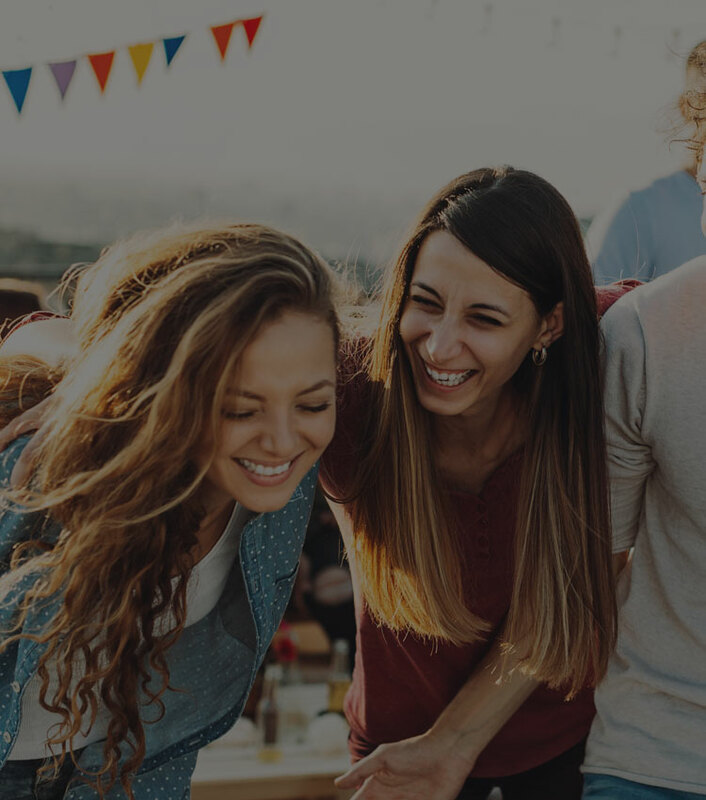 Will I be able to connect with other au pairs in France? Absolutely! 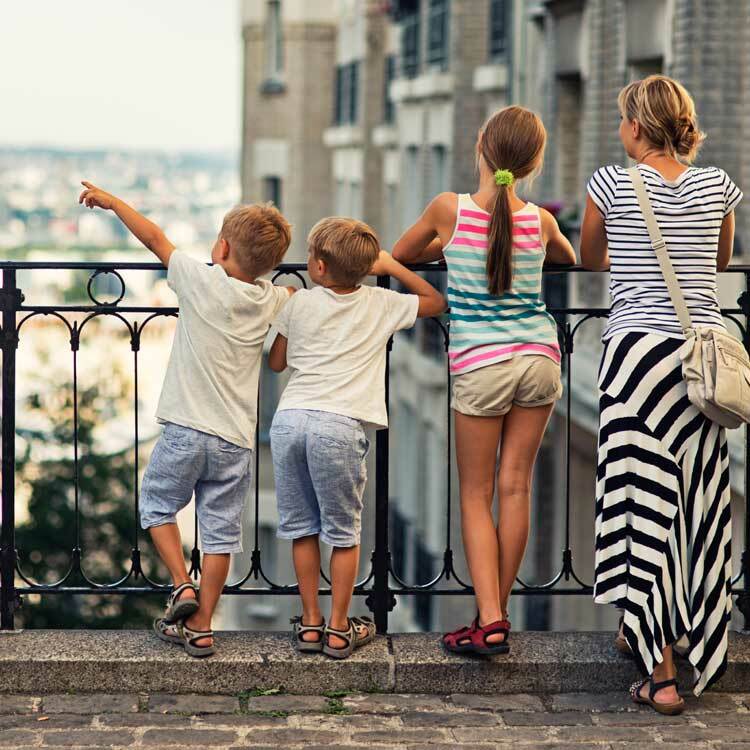 We'll connect you with other au pairs in the Paris region at the time of your program and invite you to a Facebook group specifically for au pairs in France. Our in-country agents will also help you connect.